If Congress wants to upgrade America’s creaking roads, rails and bridges, members need to admit a simple truth: They can’t do it for free. 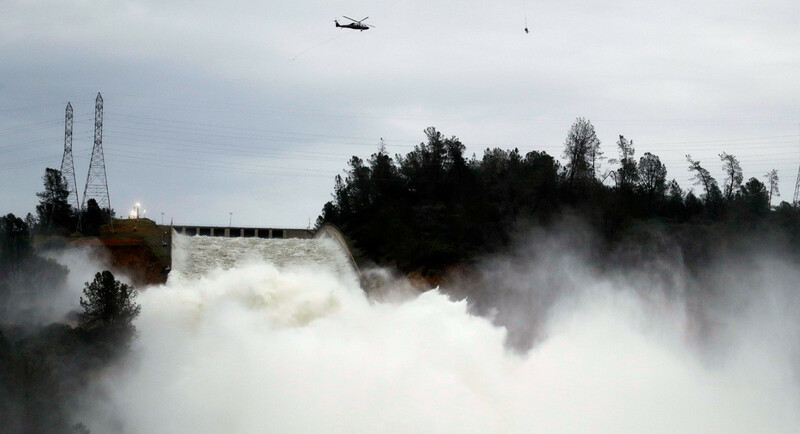 The recent crisis at the Oroville Dam in California brought the challenge of America’s aging infrastructure front and center to living rooms across the country. Today there is consensus on the size and scope of the problem, but not the solution. Some are looking for a magic bullet that would fund infrastructure investments without spending money, but the truth is you cannot get from here to there without resources. So let me be clear to Washington: Any plan for investing in infrastructure that does not include funding is fairy dust. As the federal government discusses and debates investing in infrastructure, states and local governments have been getting it done. In Chicago we have been putting people to work rebuilding our roads and rails, bridges and buildings, parks and playgrounds, schools and streetlights. Our infrastructure investments have created more than 60,000 construction jobs in the past five years and will create another 40,000 good-paying jobs in the next three years. We are rebuilding the Chicago Transit Authority, which serves more people every month than Amtrak does nationwide all year, with new and modernized stations (44), new tracks (70 plus miles) and new rail cars (714). Chicago is now the largest city in North America with universal 4G Internet across its entire rail service. We constructed 108 miles of protected on-street bike lanes, 47 miles of off-street trails and built one of the largest bike shares in North America. In the process, we created a new transportation option and earned Chicago the title of America’s most cyclist friendly city. We are rebuilding Chicago’s two international airports, O’Hare and Midway, with new runways, gates, people movers and cargo facilities. We are expanding O’Hare’s capacity by an amount equivalent to Midway’s total capacity, and between our two airports Chicago has the busiest aviation system in the country. To accelerate our progress, we are embarking on a plan for express rail service between our central business district and O’Hare—the first of its kind in the country. We are not just rebuilding how people get to and around Chicago. We are rebuilding our schools and city colleges, creating new open spaces across the city and constructing new bridges to connect communities with the shores of Lake Michigan. And by 2019 we will have repaved more than 2,000 miles of roads—nearly half the city—and replaced all of our water mains and sewer lines that are more than 100 years old. For Washington to replicate these successes nationwide, lawmakers have to first accept a basic fact—you can’t build a bridge, or a train line, or an airport or a road for nothing. If Congress isn’t willing to admit that addressing the nation’s infrastructure needs comes with a cost, they should at least support mayors and governors who are willing to stand up and admit that progress isn’t free – there’s a pot of gold at the end of the rainbow. Washington should start by expanding and improving the Transportation Infrastructure Finance and Innovation Act (TIFIA) and Railroad Rehabilitation and Improvement Financing (RRIF) programs. TIFIA gives low-interest federal loans for infrastructure projects. In Chicago, TIFIA has helped us rebuild our airports, rail stations and the Riverwalk. Across the country it has helped build new highways, bridges and train stations from Miami to San Diego. RRIF also provides sizable low-interest, long-term federal loans and loan guarantees, in this case for railroad infrastructure. However, its onerous credit rules have made it inaccessible for many promising projects across the country, and RRIF currently has more than $30 billion of unused lending authority. It is a massive bait-and-switch, with resources that are basically out of reach for most important investments in rail—the very investments it was created to fund. Congress should make TIFIA and RRIF more accessible, while also making it easier for private capital to be invested in public projects. If they did, what we would have in essence is an American Infrastructure Bank. Washington could incentivize private investment by granting investors the same returns as the government, although only after the federal government is made whole. This would allow more projects to be funded and more people to get to work rebuilding the country. If the president wants to utilize public-private partnerships to fund infrastructure investments, it would be a missed opportunity to ignore the low-hanging fruit of improving these existing programs. And if lawmakers in Washington will not be forthcoming with the public that investing in infrastructure actually takes resources, they can at least expand programs to allow local governments that are willing to stand up and invest in the future the ability to do so. Doing so would make America’s cities great, and get people back to work. That is what is working here in Chicago, the City that Works.